WASILLA — The shopping capital of the Matanuska-Susitna Borough is outlawing disposable plastic shopping bags. The Wasilla City Council this week approved a new law banning grocery stores, retail shops and restaurants from distributing thin, single-use plastic bags starting July 1. Wasilla is home to Walmart and Sears, Fred Meyer, Carrs and Target, too. "I got all the box stores," Wasilla Mayor Bert Cottle said. Not to mention restaurants, which also are covered by the plastic bag ban. The council in September directed his administration to draft a measure outlawing the plastic bags as a way to reduce waste and litter and protect waterways and wildlife. The measure exempts biodegradable bags, bags used for produce and meat and bags sold for garbage, yard cleanup and animal waste. The public got to chime in at a town hall and two public hearings. In the week before Monday's meeting, the city clerk received 48 emails or other messages on the ban – 47 of them in support, the mayor said. Sixteen people testified Monday in support of it, seven spoke against it and one gave a mixed message, Cottle said. The Mat-Su Borough has been considering a 10-cent-a-bag tax on plastic shopping bags at large retailers. The tax is intended to discourage customers from using them, which would result in the same benefits Wasilla hopes for. The borough had hoped to reduce waste at the landfill, reduce litter and lessen the chances of animals ingesting the bags. The tax proposal was put on hold while Wasilla took on its own measure. The plastic bag tax for the borough is on the assembly agenda for Tuesday, under unfinished business. "I don't know what the intent is at this point in time," said Mat-Su Borough manager John Moosey. "I don't know where Palmer is going to be on this, though they are against us doing any type of tax." The assembly could move ahead or set aside the plastic bag tax indefinitely, he said. The cities of Bethel and Cordova have outlawed plastic bags, though the Alaska Commercial Co. provides thin, single-use biodegradable bags for customers in those communities. There's no ban under consideration for Anchorage, said Kristin DeSmith, communications director for Mayor Ethan Berkowitz. Rep. Andy Josephson, D-Anchorage, is proposing a statewide 20-cent tax on disposable plastic bags – to be paid by customers, not retailers. Meanwhile, shoppers who favor reusable bags can consider the health implications. The bags can retain germs, studies have shown, said state epidemiologist Joe McLaughlin. "The recommendation is to wash them every couple of uses," he said. 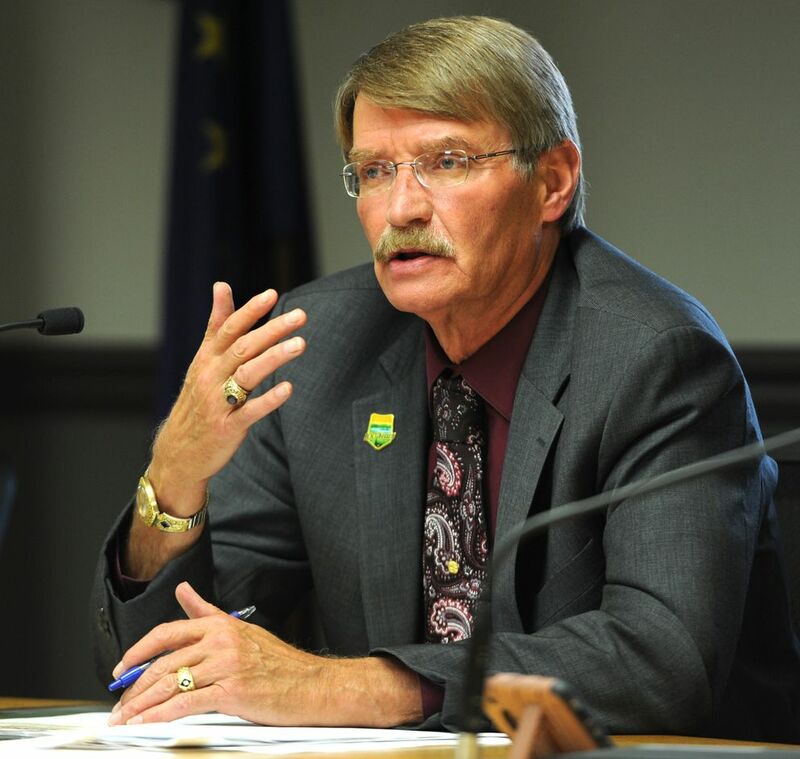 In Wasilla, Mayor Cottle sees marketing potential for organizations that want to put their names on reusable bags, or a business opportunity for entrepreneurs to customize the bags.